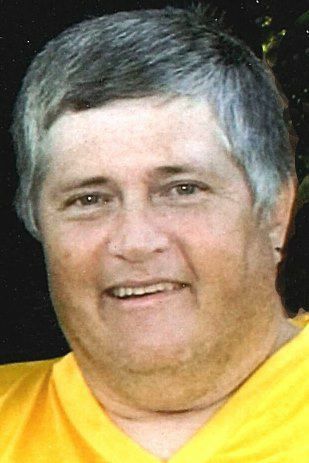 Thomas D. “Trout” Hake, 65, of Menomonie left this world Sunday, Dec. 23, 2018, after 50 years of life in a wheelchair. He is now running, free of pain and is with his savior Jesus Christ. He was born June 5, 1953, in Menomonie, to Wilbur and Hazel (Welch) Hake. He was raised in Menomonie, graduated from Menomonie High School and attended Eau Claire Vocational School for bookkeeping. Trout loved the outdoors, including fishing and hunting. He also enjoyed watching the Packers and Badgers and most importantly Menomonie football. The family will be forever grateful to Trout’s best friend, Bob Knops for his companionship, loyalty and unending care and also to his nephew Ronnie for being there to help and support him over the years. Trout is survived by his two brothers, Jim Hake and Greg (Jan) Hake both of San Diego, Calif.; two sisters, Bonnie (Darrell) Thurnbeck of Forest Lake, Minn., and Mary (Terry) Miland of Menomonie; nieces and nephews, Dawn, Jeni, Derek, Nicole, Matt and Alyssa; and other relatives and many friends. He was preceded in death by his parents, Wilbur and Hazel; nephews, Ronnie Hake and Shad Miland. A memorial service will be held at 11 a.m. Monday, Dec. 31, at Peace Lutheran Church in Menomonie, with Pastor Bob Friese officiating. There will be visitation from 9 a.m. until the time of the service at the church. Burial will be in Peace Lutheran Cemetery in the town of Menomonie, Dunn Co. Wis. Following the burial all are invited to a gathering at the Veterans Center of Menomonie to celebrate Trout’s life.